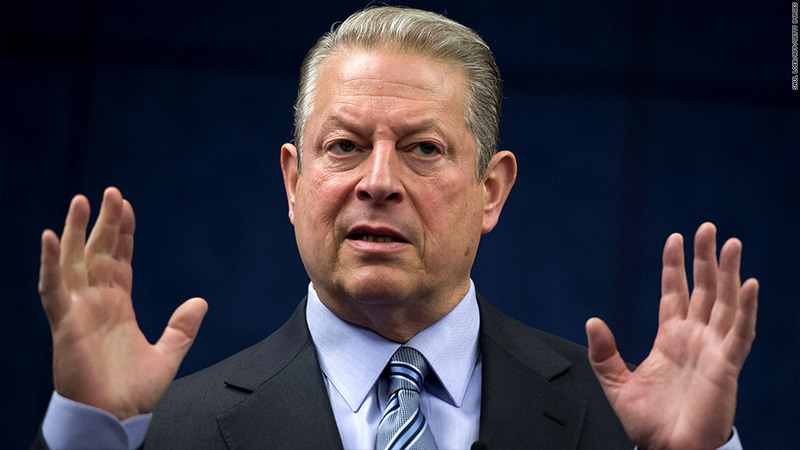 An Inconvenient Lawsuit: Al Gore accuses Al Jazeera of fraud in Current Media deal. Al Gore says Al Jazeera America is withholding $65 million from Current Media shareholders after buying the cable channel last year, and he's gone to court to get it. "Al Jazeera America wants to give itself a discount on the purchase price that was agreed to nearly two years ago," said David Boies, a lawyer representing the former Vice President, in an e-mail to CNNMoney. "We are asking the court to order Al Jazeera America to stop wrongfully withholding the escrow funds that belong to Current's former shareholders." Gore, who was the executive chairman of the board of Current Media, and the company's former CEO Joel Hyatt sold Current Media to Al Jazeera in January 2013. Published reports at the time said the deal was valued at $500 million. The lawsuit, filed in the Delaware Court of Chancery, accuses Al Jazeera of fraud and breach of contract for allegedly withholding money from Current Media shareholders. "Our outside counsel is reviewing the complaint," said Al Jazeera America spokeswoman Dawn Bridges. "We think it relates to a commercial dispute between former shareholders of Current Media and Al Jazeera America." The lawsuit is sealed and the suit demands that it be made available to the public. "We do not believe that our complaint should be sealed," said Boies, in a written statement. "However, despite being a news organization, Al Jazeera America has said the full complaint should be kept from the public file."